Samsung Galaxy S3 Price and Features - Where to Buy Cheap? 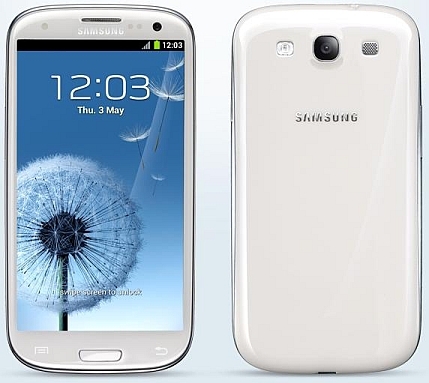 Samsung Galaxy SIII is finally launched which is most expected Android phone series in this year and it’s released also in India for Rs.43180. Better than previous Samsung Galaxy S2 and it looks like a combination of Tablet Pc and SmartPhone. It is light weight and powered by Quad core 1.5 processor and it has the latest version of Android 4.0 Operating System. It has lot of smart features than any other phones. Let’s see what new features are. • And lot of built-in cool applications. Where to buy Samsung Galaxy S3 at Cheap Price? Galaxy S3 is surely a fantastic super power phone and sale for huge money of Rs. 43180. You may think it is a costly phone like Apple iPhone. There is good news to you and you can get this phone for some reduced price. Sit back and you need not worrying about this costlier phone if you buy for Rs.38900. Yes, really some online shopping websites offers Samsung Galaxy S3 at this reduced price. Junglee.com is an online shopping website and there are 7 sellers in India offers Samsung Galaxy S3 at low price. You can go through their site and get Samsung Galaxy S3 at cheap price for Rs.38900 and enjoy.